Why are the Patriots and Eagles Super Bowl LIII favourites? Why are the Patriots and Eagles Super Bowl favourites again? Last season, the Philadelphia Eagles and New England Patriots closed things out with an electric contest in Super Bowl LII. With both teams racking up huge offensive numbers, the Eagles managed to get the better of New England en route to the club’s first-ever Super Bowl. Heading into the 2018 campaign, both teams are favoured to get to Super Bowl LIII. But is that designation justified for both teams heading into the new season? Here are some reasons as to why both teams are favoured, and whether or not those reasons are legitimate. The run to the Super Bowl by the Philadelphia Eagles was even more impressive given that the team managed to get the job done despite losing their starting quarterback, Carson Wentz, for the season with a knee injury. 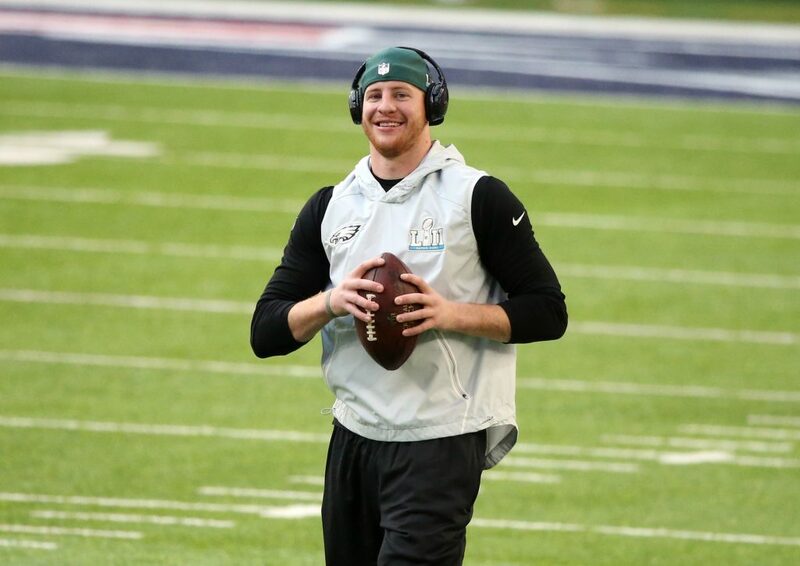 Wentz was playing at an MVP level before getting injured during a regular season game against the Los Angeles Rams. This year, Wentz will come back healthy with a roster that managed to win Super Bowl LII with backup quarterback Nick Foles calling the shots. With Wentz back, the Eagles offence will return to full strength. The team has a great group of skill position players, with wide receivers Alshon Jeffery and Nelson Agholor set to continue developing their rapport with the electrifying Wentz. Combine them with a running game that was able to pick up large chunks of yardage on a regular basis throughout last season, and the Eagles could very well have the best offence in the league in 2018. Also important for the Eagles is the fact that they will get some help in the way of returning offensive linemen at the start of next season. Starting tackle Lane Johnson is considered by many to be one of the best linemen in the sport. Philadelphia lost him to injury for much of last season as well, with the team finding a way to work through the absence to win a title. With Johnson back to protect the newly healthy Wentz, what the Eagles are capable of is scary for opposing teams in the NFC. The NFC is interesting because of how many good teams there are in the conference. The Vikings look like they will be strong defensively for years to come. Los Angeles may have the best offence in the sport and are stockpiling talent on defence as well. Atlanta, Carolina, and New Orleans all look dangerous. And that is without mentioning the Aaron Rodgers led Green Bay Packers. So while the Eagles are a justifiable favourite to get back to Super Bowl LIII, it has to be remembered that the Eagles also have an extremely difficult road to get there. Philly will also have to get used to some new leadership within their coaching staff, as the team saw both its offensive and defensive coordinators leave to take head coaching positions elsewhere. The Atlanta Falcons had that happen to them last season when offensive coordinator Kyle Shannahan left to become a head coach elsewhere, and the team’s offence never quite recovered. If that were to happen to the Eagles, their Super Bowl LIII odds could be gone. To say that the NFC was better than the AFC last season would be an understatement. The NFC had several teams that were capable of getting to the Super Bowl last year, while the AFC felt like a one-horse race from start to finish. That one horse was the New England Patriots, who overcame a slow start to the season on defence to get to yet another Super Bowl, where they fell to Philadelphia. Heading into this season, the lack of depth in the AFC appears to be a factor once again. At the top of the AFC along with the Patriots, you will find a few good teams, but those teams all have massive flaws that can prevent them from reaching Super Bowl LIII instead of the Patriots. For example, the Pittsburgh Steelers have a tough offence to stop thanks to a litany of wide receivers that can hurt you. But the Steelers are questionable defensively and lack the mental fortitude required to outplay the Patriots from the start of a game to the finish. On a similar note, there is the team that the Patriots defeated to get to last year’s Super Bowl, the Jacksonville Jaguars. Jacksonville’s defence is devastating, as the team can consistently get pressure on the quarterback and defend wide receivers at the same time. The Jaguars, however, have one of the worst quarterbacks among contending teams in the NFL in Blake Bortles. 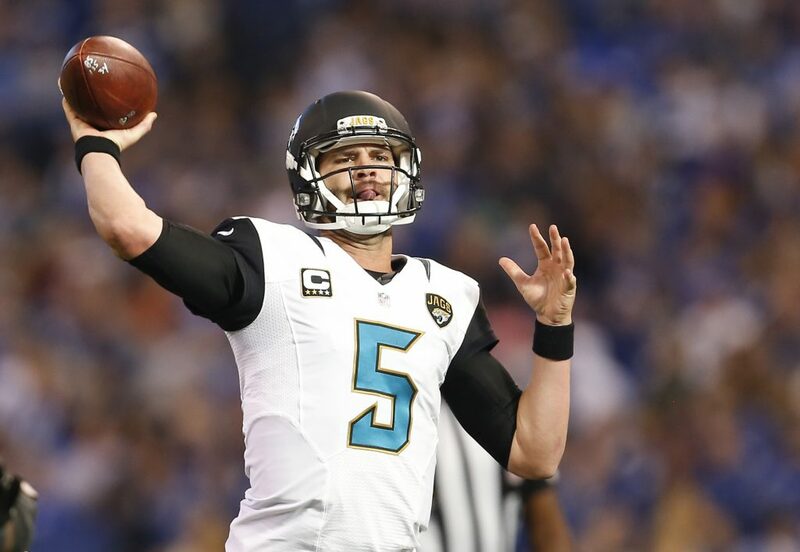 Bortles has yet to earn the full trust of his coaches, as he was not given the chance to win the AFC Championship Game with his arm despite several chances to do so. Just like the last two seasons, it does not look like there is a team that should be able to take out the Patriots in the AFC. Unless someone steps up and shows dramatic improvement from last year, New England should be able to get to Super Bowl LIII. If there was one thing that was to hold the Patriots back, though, it would be their offensive line play. The Patriots have seen legendary offensive lineman Nate Solder leave the team to join the New York Giants, which could leave the Patriots struggling to protect Tom Brady. Given Brady’s lack of mobility, that could be a major issue. Both the Patriots and Eagles are listed as favourites to get to Super Bowl LIII, which has a lot to do with how good both teams are. It also has a lot to do with recency bias, as the betting public regularly backs teams that have recently had great success. Finding out which side will be right in evaluating the championship chances of both of these teams will be interesting, as the Eagles and Patriots both have flaws in spite of all of their positives.